We currently ship to all 50 U.S. states, Canada, and other international locations. 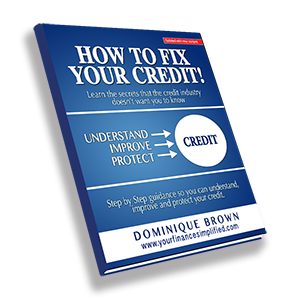 After you place your order, you will receive an order confirmation email from dbrown@sdcapitalholdingsllc.com. If your email does not arrive, please check your spam folder and be sure to add our email address to your address book. Please note that all charges on your account for YourFinancesSimplified will appear as SD Capital Ho. Please review your order immediately. If any changes are needed, please contact us as soon as possible. We cannot make changes to your order once you have received your shipping confirmation email. How long will it typically take for my order to arrive? Ground orders are generally processed Monday–Friday, within 48 hours of the time the order is placed, except during holidays. All orders are subject to product availability. Any UPS expedited order placed by 11 a.m. Monday–Friday CST will ship same day. Please note any expedited order placed after 11 a.m. CST or on Saturday/Sunday will ship the following business day. What are shipping (postage) and handling costs? Your delivery destination, which is based on your country, city, and postal code. Orders placed through our corporate sales department may incur shipping and handling charges that vary from orders placed online. Teach me how to improve my finances, so that I can buy a home and stop wasting my money on rent. Your Finances Simplified by S&D Capital Holdings LLC © 2016. | All rights reserved.